Second Ferment: 'Hoppy' Craft Beer Week, everyone! 'Hoppy' Craft Beer Week, everyone! 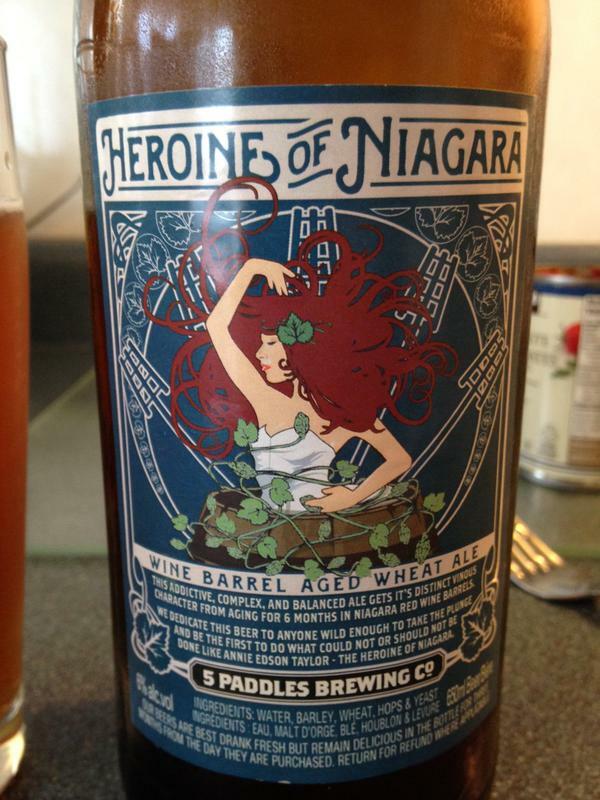 It's Ontario Craft Beer week! Not that you really need an excuse to try out the wide range of hoppy beverages made by passionate local brewmeisters, but this is a good one. We've had a good year so far when it comes to beer. I signed Hubby up for the Savvy HipHops beer-of-the-month club last Christmas (aren't I a good wife?) Every month since the early weeks of snow-bound January, we've been treated to brews from all over the province: ales and IPAs, porters and stouts, gruits and saisons, and one-offs done with everything from peppermint to cocoa nibs. It's been a bonus learning experience for me, and an eye-opener to styles I never thought I'd enjoy. 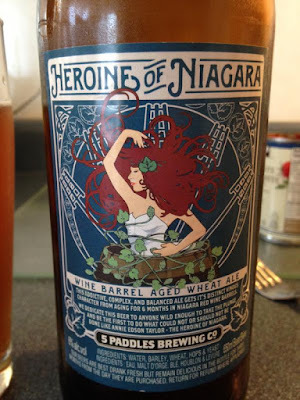 So far the big winner has been Heroine of Niagara, a wheat ale done by Five Paddles Brewing that's been aged in spent wine barrels. Wisps of merlot come through on the nose, with a palate that's smoky-sweet and a bit tart on the finish. I kept saying "oh.my.GAWD" with every sip. Bog Water - Gruit (old-fashioned way of making beer with wild herbs, before hops became popular) Spicy, bitter, finishing sweet, kinda reminds me of Coca-Cola. Lockstock Ale / Independence Pale Ale - Both of these reminded me of the orange peel-coriander of white beers. Light, flavourful and crisp, they go down (a little too) easy. Stay tuned ... there's another six months' worth of beer to be tried!